On July 11, 1982, Elisa Sordi was beautiful. Commissario Michele Balistreri was fearless. Italy was victorious. A killer was waiting . . .
On July 9, 2006, with Sordi's case twenty-four years cold, and Balistreri haunted by guilt and regret, Italian victory returned. And so did Sordi's killer . . . But this time Michele Balistreri would be ready. This time he would fear no evil. Roberto Costantini was born to Italian parents in Libya, where he spent the first eighteen years of his life. He was educated as a mechanical engineer, and also earned an MBA from Stanford University. After a thirty-year career working for American companies in many different countries, he is now a manager of the LUISS Guido Carli University in Rome, where he also teaches Leadership and Negotiation in the MBA program. 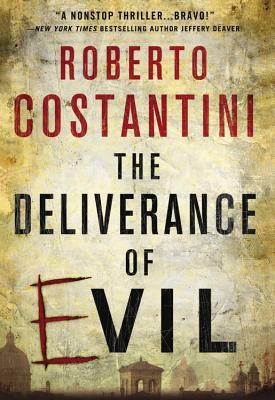 The Deliverance of Evil is his first novel and the first in a planned trilogy, the second of which will focus on Michele Balistreri's adolescence in Libya during the rise of Gaddafi.